Welcome to Author Wednesday. Today, I’m happy to interview Christoph Fischer, an author and fellow blogger and reviewer. Christoph is a great supporter of the Indie Author, and he’s introduced me to many wonderful books and authors over the past year. He writes historical fiction. He’s published the first two novels in his Three Nations Trilogy, The Luck of the Weissensteiners and most recently, Sebastian. He’s working on the third book in the series, The Farm in Heimkirchen (working title). Hello, Christoph. Welcome to Author Wednesday. I’m curious how you might describe yourself in third person. Write a paragraph as if you were a reporter writing about you for a newspaper article on up and coming authors. Christoph Fischer is a new author who has taken on an ambitious project of writing three historical novels set in different nations to discuss the subjects of Nation and identity. In his first installment, The Luck of The Weissensteiners, he takes us to Slovakia in the 1930s and sheds light on complex political situation while telling the story of one Jewish family from 1933 until 1946. 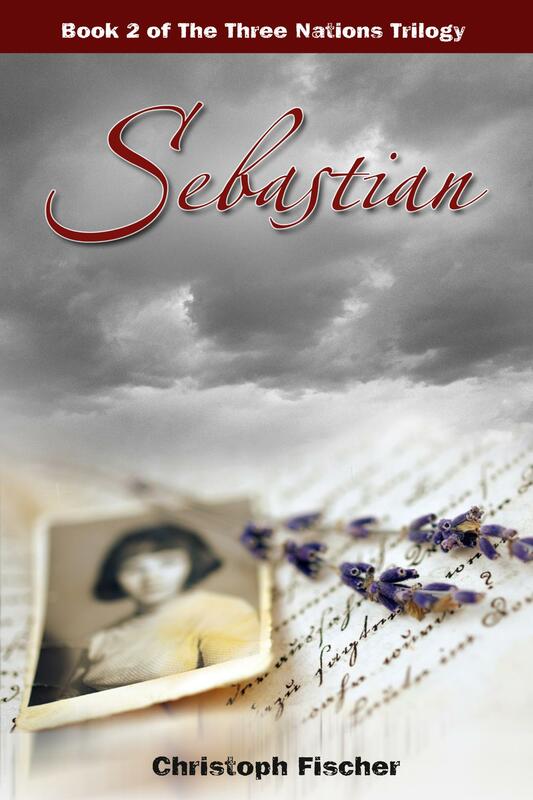 In Sebastian, he moves back in time to the Vienna of 1913 and tells how a different family in a different era is confronted with similar themes, albeit under less extreme circumstances. As a German expat living in the UK and having family roots in Eastern Europe, Fischer’s own experiences clearly add to the tone of his writing. My inspiration for my books often comes from others who’ve inspired me. Who has most influenced your writing and why? German writers such as Siegfried Lenz and Stefan Zweig certainly left their mark on me. More recently, Lionel Shriver, Christos Tsiolkas, and Richard Zimler are authors whose work I absolutely adore. Lately, I have been reading more independent writers and have learned about style and plotting from Paulette Mahurin, Bernice L. Rocque, Revital Shiri-Horowitz, and Angella Graff. 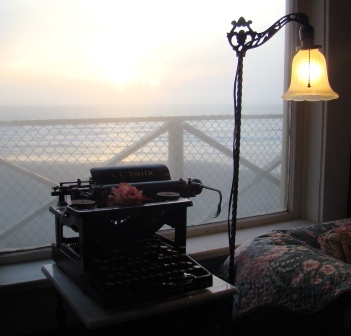 Are you planning to continue writing in historical fiction? The books in my Three Nations Trilogy are all historical novels, and I have already written another historical novel since. History is a huge field and choosing a different time or place creates a challenge for the writer and adds an extra interest to a story, so I am rather fond of the idea of writing some more in the future. I am however interested in a lot of other subjects too, where a contemporary setting is more apt. I have drafts of novels about Alzheimer’s and mental health, which might be classified as literary fiction (such a big word, I hardly dare use it). They are set in modern times because general awareness of these issues would not have been well developed in previous times. What’s the best thing said about one of your books by a reviewer? It is impossible to rank or compare reviews or compliments. An in-depth analysis and intellectual applause in my view is no better than a simple “I loved it!” if the reader really means it. 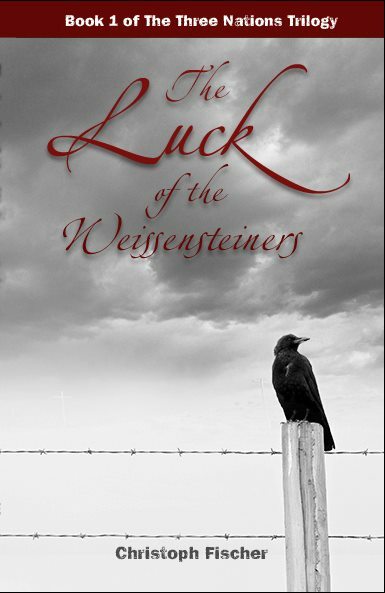 Here is one excerpt from one review for The Luck of the Weissensteiners. I chose this quote because it was rewarding to see a reader so engaged that they felt their perspective had changed a little. I agree with your philosophy on reviews. When the reviewer really understands, it’s an important review. What advice can you give to other writers about receiving a bad review? Every review only reflects one person’s perception of a book. What is great to one reader is off putting to the next. It is all about finding your target audience. My books would not go down well in a sci-fi reading group. Also, read the bad reviews for critically acclaimed novels on Amazon and you will find that every single author gets bad press as well. You cannot please everyone. Try to see through the parts that are hurtful and use the criticism as a chance to improve. Excellent advice, Christoph. Now let’s talk a bit about your latest release. What is the message conveyed in Sebastian? The message I try to convey in Sebastian is that nobody should be or feel second best, and that you should always try to be your best and be content with that. The uncertain times intensified the insecurities of many of my characters; Sebastian has lost a limb and has even more confidence issues to fight. Explain how Sebastian was conceived in your imagination. The book is loosely based on my grandfather who had lost one leg in similar circumstances to Sebastian in the 1930s. He and my grandmother divorced while she was pregnant with my father. I never got to know why or how, and I never met him before he died. He, his new family and my father’s older sister were stuck on the other side of the Berlin Wall. I knew one side of the story, but in the 1990s my aunt told me another version of events. Between those two stories my imagination ran wild. My father had a friend who had lost a leg in the war and as a child I was both fascinated by him and scared of him. I wondered how he would find love with such a “handicap.” When I heard that my grandfather had the same misfortune but had married twice, easily it got me thinking and that became a central part of this book. As a gay man who grew up in a very Catholic area of Germany, I brought a lot of my own self-esteem issues to the character Sebastian; the loving picture that my aunt drew about my grandfather found itself into the character of Sebastian’s grandfather, Oscar, in the book. Without giving us a spoiler, tell us a little bit about your favorite scene in Sebastian. My favorite scene in the book is an argument between Sebastian’s grandparents. It is one of the more humorous scenes, and I hope it shows the difficult relationship between an unlikely couple who are nevertheless in love with each other and need each other and end up having silly but for others often entertaining rows. I love this next question because I often wonder about it myself. If you could invite two other authors over to your house for dinner, who would you choose and why. I have met a lot of other authors online and never seen them in person. M.C.V. Egan, author of The Bridge of Deaths seems like a very interesting and multi-facetted character, and I would love to fly her over the Atlantic for dinner. The other person I would love to meet is Paulette Mahurin, another great and acclaimed Indie Author friend whose writing (The Persecution of Mildred Dunlap) I find very inspiring. Is there one book or author with whom you identify or hold up as your standard-bearer? Shantaram by Gregory David Roberts is one of my all-time favourites. His love for India, his exploration of guilt and redemption and his excellent characters get me to read the book at least once a year. About Christoph Fischer – Christoph Fischer was born in Germany, near the Austrian border, as the son of a Sudeten-German father and a Bavarian mother. Not a full local in the eyes and ears of his peers, he developed an ambiguous sense of belonging and home in Bavaria, which has led to his interest in the concept of Nations, individuals, and communal culture, some of the central themes of The Three Nations Trilogy. He moved to Hamburg, London, Brighton, and Bath, where he is still a resident today. The Luck of The Weissensteiners is his first book and was published in November 2012. Sebastian in May 2013.He has written several other novels which are in the later stages of editing and finalization. This entry was posted in Author Wednesday, Ramblings of a Writer and tagged amazon.com, authors, book reviews, Eastern Europe, fiction, Germany, historical fiction, historical novels, novel, writers. Bookmark the permalink. Paulette – It’s my pleasure. I love his success and I also admire him for all he does to promote other Indie Authors. I’m very grateful my path crossed with his. Thanks for stopping by my blog. I loved the interview and I have one obvious fave answer I love this next question because I often wonder about it myself. If you could invite two other authors over to your house for dinner, who would you choose and why. Maria, I’m not familiar with Egan’s work but I’m sure she’d be fascinating to host. I’d like to invite Carl Hiassen and Barbara Kingsolver, along with some of my favorite Indie Authors to round out the table. Thanks for dropping by. Both my wife and I have read and really enjoyed Christoph Fischer’s book, The Luck of the Weissensteiners and Sebastian. Great interview here with the talented author who tirelessly helps other indie authors. I agree. Thanks for reblog. Christoph is not only a wonderful writer but an insightful (and generous) reviewer of Indie novels. Your great interview with him shed even more light on this personable author. Thanks for giving him a voice. I agree. I love how he unselfishly promotes all of us Indie Authors through his blog, reviews, tweets, and personally. He’s one of the best.